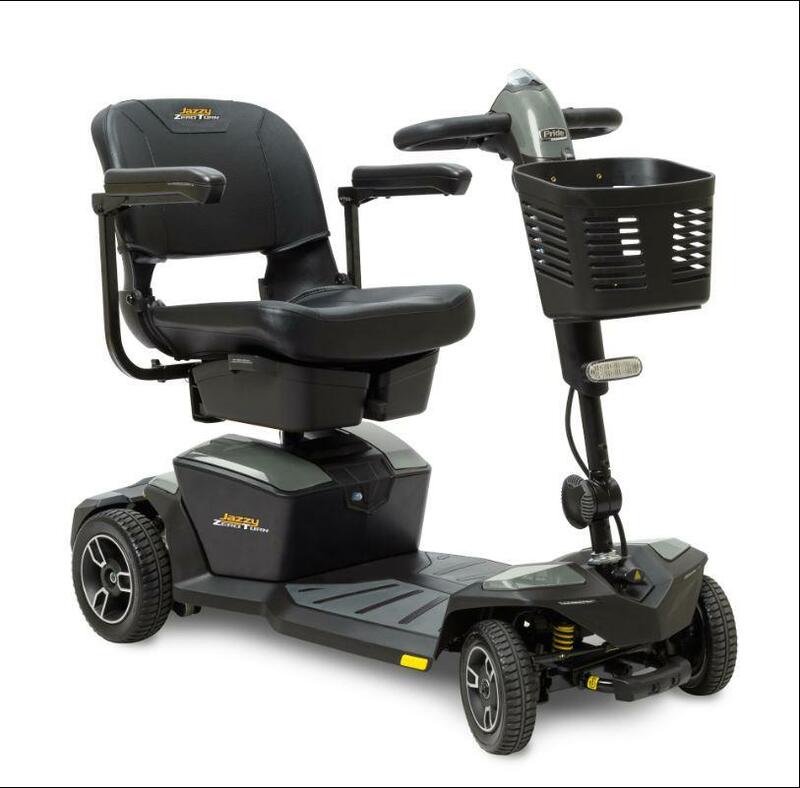 From a long legacy of durability and innovation in mobility solutions, comes the Pride Mobility Jazzy Zero Turn. The Zero Turn is a stable four wheeled mobility scooter that maneuvers like a three-wheel chair. With this design, which uses exclusive iTurn Technology, you’ll be able to make sharp turns or U-turns without feeling like you might fall over. A padded 17-inch by 17-inch stadium-style seat, adjustable armrests and Comfort-Trac Suspension keep you comfortable as you cruise around. The Zero Turn is also known for its practical accessories including LED lighting in the front and rear, two under seat baskets for accessible and secure storage and a USB charger to make sure your phone is always ready as you’re on the go. This mobility scooter is also easy to transport in cars or vans given its feather touch disassembly capability. 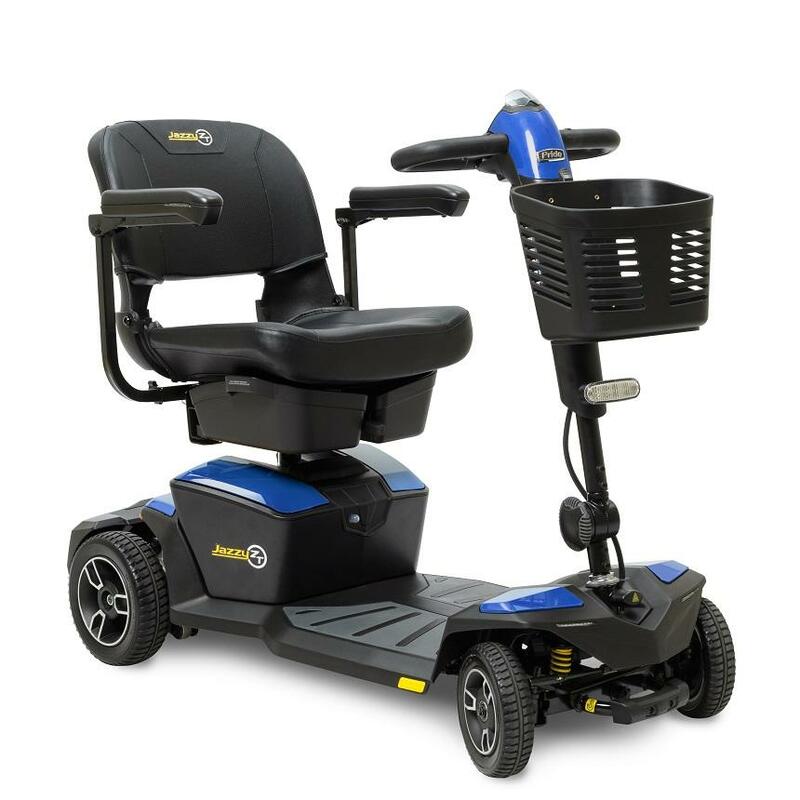 Comfortable and stable, the Pride Mobility line delivers again with its Jazzy Zero Turn. The Jazzy Turn is a 4-wheel scooter with the tight turning radius of a 3-wheel scooter. It handles those sharp turns effortlessly with the added reassurance that you won’t feel like you might tip over. This 4-wheel travel scooter takes turns more easily than some 3-wheel scooters and it feels more stable too. U-turns are a breeze with Pride’s Zero Turn. The Zero Turn’s wide 17”x17” stadium-style seat is padded for added comfort and the armrests are adjustable. Two swing-away baskets underneath the seat provide extra storage and are perfect for holding smaller personal items like your wallet, phone, and keys. You can even charge your phone while you drive using the USB charger on the tiller! Plus, with Pride's feather touch disassembly, you can easily transport this scooter in the trunk of your car, truck, van, or SUV. The unique LED lighting is ultra bright in both the front and rear of the scooter, so you can safely cruise around at night with confidence. 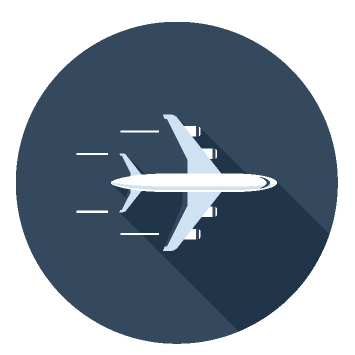 Enjoy a moonlit drive around the neighborhood or attend an outdoor evening jazz concert. The LED lighting package will light your way! 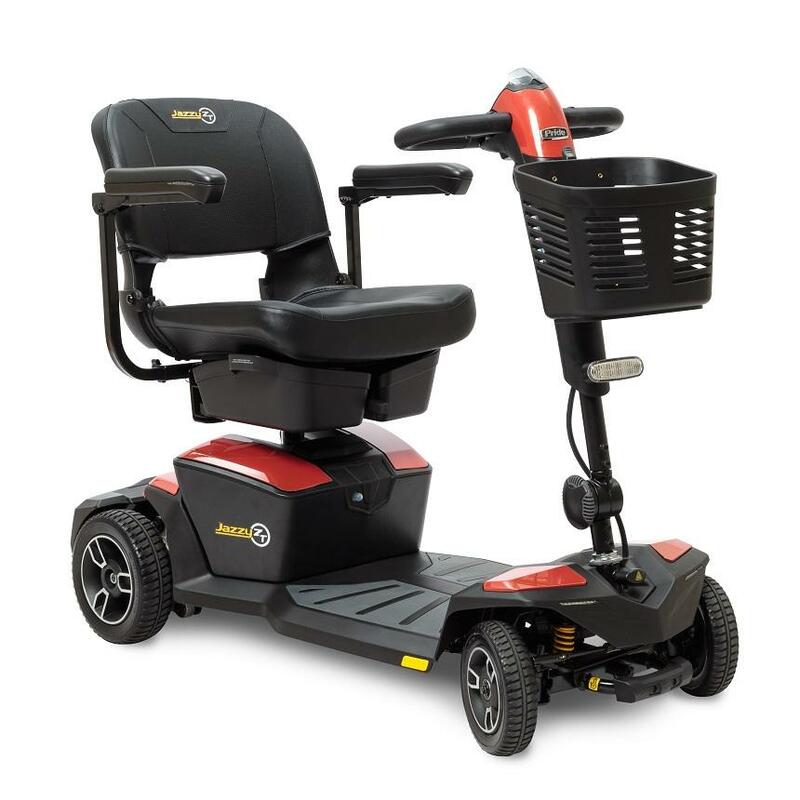 The Zero Turn’s Comfort-Trac Suspension (CTS) ensures a smooth, gentle ride, even on sidewalks. The Jazzy Zero Turn tackles various terrains like a champ thanks to its dual motors, CTS, and 3.5” ground clearance. 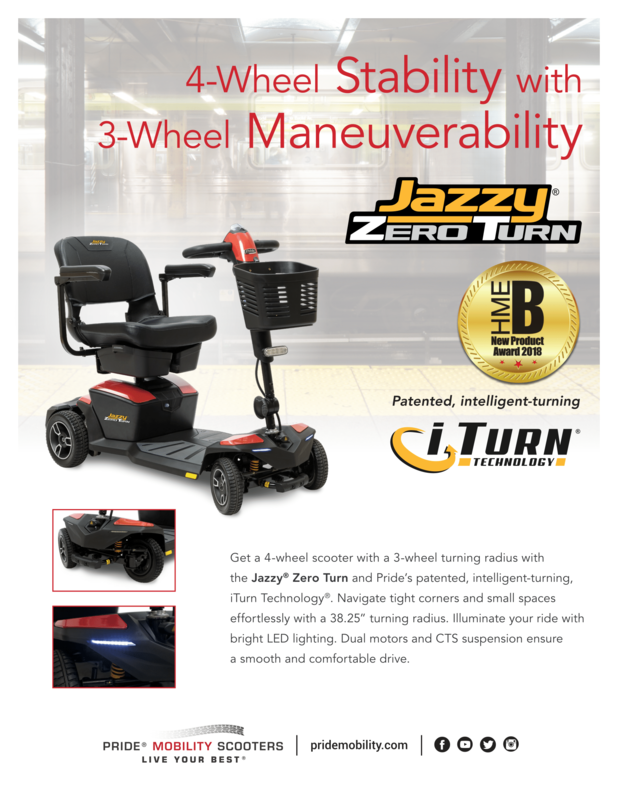 Navigate effortlessly through shopping aisles, hallways, hilly driveways, and curvy pathways on your Jazzy Zero Turn with Pride’s patent-pending, intelligent-turning iTurn Technology™. The future of 4-wheel scooters is here! Why Pride: Jazzy Zero Turn?